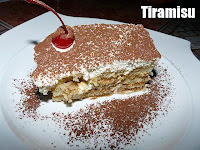 Pampanga: C' Italian Dining, another sumptuous dinner! After so many months of waiting and all those mouth-watering text messages from Chef Chris about their new dishes, I finally got the chance to have dinner again at C' Italian Dining! And indeed, it was filling as always. We were first given one serving of panizza, the restaurant specialty, and a glass of Carménère red wine to go with it. Then we were served C' sausages, a selection of fennel, garlic and herb, and calabrese. Chef Chris also brough out oriecchette with pomodoro, and onion roasted potatoes with rapini, a kind of brocolli. We could hardly finish everything when Chef Chris came out and asked us, "Are you ready for the main course?" It was just too much to handle and we had to politely decline whatever that dish was. So we were given some sweet endings, a serving of crème brulée and tiramisu! Yummy! It's a mystery how we were able to drive up to Baguio with a full stomach. Yup, were staying overnight in Baguio since we have a meeting here early tomorrow. Today was day 1 of our road trip around North Philippines. We're visiting the different convention and visitors bureaus to check how they're doing. After our regular morning meeting in MNTC, we joined the Pampanga Convention and Visitors Bureau (PCVB) for their courtesy call to Governor Ed Panlilio in the afternoon. In the evening, we met with the Greater Clark Visitors Bureau (GCVB). 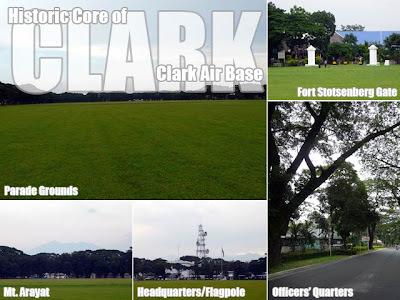 And in between, we had a staff meeting in Clark. Now, we're here in Baguio to meet with the Baguio Convention and Visitors Bureau (BCVB) tomorrow morning. 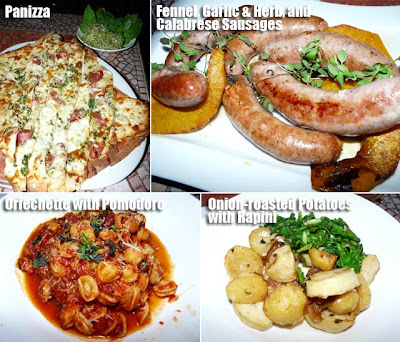 C' Italian Dining is simply superb!